• Remastered in 2010 from the original analogue tapes by Yoko Ono and a team of engineers from Abbey Road Studios in London and Avatar Studios in New York. These remasters are now being released on vinyl for the very first time! Remastered edition of this 1971 studio album from the rock music icon. Features "Imagine," "Crippled Inside," "Gimme Some Truth" and "Jealous Guy." 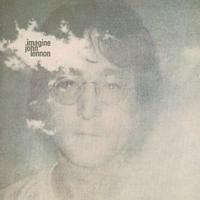 Imagine is the second album by John Lennon. Recorded and released in 1971, it tended towards songs that were gentler, more commercial and less primal rock than those on his previous album, the critically acclaimed John Lennon/Plastic Ono Band. The album is considered the most popular of his works. In 2012, Imagine was voted 80th on Rolling Stone magazine's list of the "500 Greatest Albums of All Time."